Yellow roses symbolize friendship, affection, and gladness. 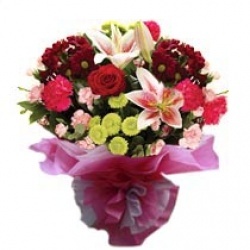 These very versatile flowers are perfect not only for friends or family but for a secretly admired crush or a newly budding romance. Priced affordably at only $68, this gift package consists of 1 dozen yellow roses of only the freshest, excellent quality, arranged elegantly in a classy vase. 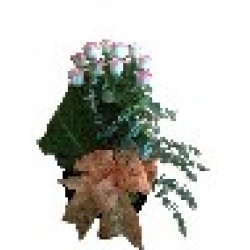 This gift package is ideal for occasions for Birthdays, Valentine's Day, and occasions for Roses. Are your feelings so overwhelming that flowers alone are not enough to express them? Then pair red roses with a bear and a shower of pearls. This gift package consists of only the freshest, superior-quality 1 dozen red roses wrapped elegantly with pearl accents, plus an endearingly small stuffed bear. Priced within budget at only $85, it is a spectacular surprise that really says it all. This gift package is ideal for occasions for Bears and Balloons, occasions for Roses, Valentine's Day, and Christmas. You've said it before with a trio of lovely red roses, now say it once more and louder for all the world to hear. On that loveliest of occasions, send your true love a shower of a dozen roses. At an affordable price of only 68, this gift package includes 1 dozen red roses of only the freshest, excellent quality arranged stunningly in an elegant glass vase. This gift package is ideal for Valentine's Day, Anniversaries, Birthdays, and occasion for Roses. 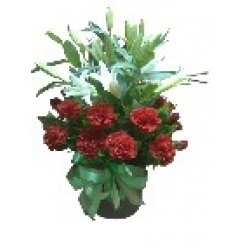 Consist of 3 red roses in a box with fillers and ferns. Simple and meaningful gift to your loved ones this Valentine's day. For Feb 13 and 14 delivery within Metro Manila only. The truth about special occasions is that they can be lighthearted, emotional, and fun-filled, all at the same time. So you better make sure you have the gift that says it all! 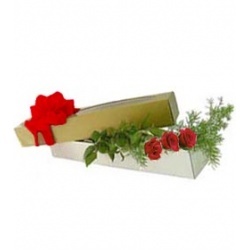 This gift package includes 3 red roses of only the freshest, choicest variety. For Feb 13 and 14 delivery within Metro manila only. 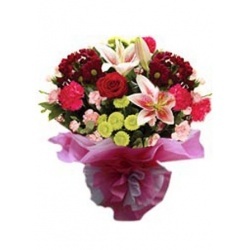 A bouquet of assorted flowers like liliums, mums, carnations and roses wrapped elegantly with a Valentine's Day Mylar Balloon. Within Metro Manila delivery only.